Paris, November 2017 - Analog Way has further strengthened its sales organization in EMEA and is pleased to announce the appointment of Demetrio Faroldi as Sales Director for Southern Europe and MEA, and Johannes van Woudenberg as Sales Director for Northern and Eastern Europe. To better support sales in EMEA and reinforce relationships with customers and partners in each area, the regional sales force has been split into two separate teams respectively dedicated to Southern Europe and MEA and to Northern and Eastern Europe. 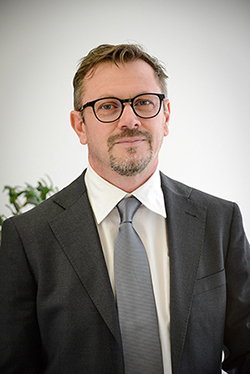 Demetrio Faroldi will lead sales in Southern Europe, the Middle East and Africa. Demetrio Faroldi has been working for Analog Way for nine years as Sales Manager. His sales expertise, successful experience of System Integration (SI) and Rental and Staging (RS) and impressive technical skills will be valuable assets in his new position. He will be based in Milan (Italy). Johannes van Woudenberg joins Analog Way to lead sales in DACH, Northern and Eastern Europe. 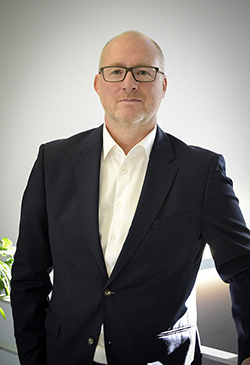 Johannes van Woudenberg is a seasoned Sales Director with long international experience in direct and indirect technical sales. He brings to the company an extensive knowledge of the professional video, IT and system integration markets in Germany and Central Europe. He will be based in the region of Upper Austria.